Not much info available about it on the net (IMDB). I’ve had a hanker’n to show this kids this (and watch it myself), but have been not been able to find it anywhere on anything, but old 8MM film. Many a day at Cambridge Elementary spent watching this movie! If you have any tips on where I can find a copy, post a comment. 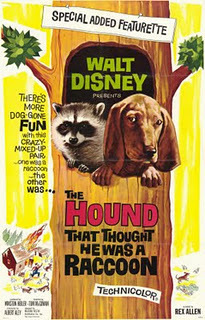 I have fond memories of this movie for a different reason: my grandfather plays one of the hunters in the film. We have a (bad) VHS dupe of it from the Wonderful World of Disney, but I’ve never been able to find a DVD or other reasonable copy. I’m seriously thinking about getting the best 8mm version I can find and then renting a projecter to do a transfer. That is really cool! If I ever come across a copy I’ll post an update where to find it. I would love to find a decent VHS or DVD of this and several other Disney productions. My grandfather was the author of the story.